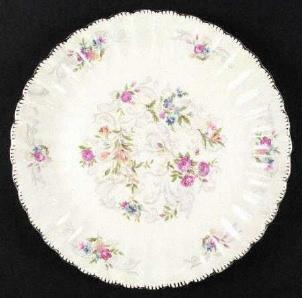 The delicate beauty of antique Limoges china dinnerware makes it highly sought after by antique china collectors. Many people new to collecting antique china do not realize that the word Limoges does not refer to a specific manufacturer. Limoges actually refers to the area in France where the fine porcelain pieces were produced. At one time there were just under fifty china factories operating in Limoges. The history of Limoges china begins in the late 1700s when kaolin was found in the soil near the city of Limoges in the region of France known as Limousin. The discovery of the kaolin meant that French manufacturers could produce the fine white porcelain similar to the fine porcelain of China. The first pieces of Limoges dinnerware were made in the Serves porcelain factory and were marked with royal crests. Serves, the Royal porcelain factory at the time, was commissioned by the Royal Court of France to manufacture the fine porcelain dinnerware. By the beginning of the 1800s, the porcelain industry was no longer under control of the Royal family. Private factories began producing Limoges china and their pieces were highly desired both in Europe and America. One of the most well known manufacturers of Limoges china is Haviland China. Although the company was originally founded in 1841 by David Haviland, there were actually four different Haviland companies that manufactured the beautiful translucent dinnerware. Using the Schleiger number which is a system of identification used by Haviland Dealers implemented by Arlene Schleiger in her books on Haviland patterns. Searching for antique Limoges dinnerware to complete a set or a place setting is both fun and challenging. Because of the vast number of pieces manufactured, there are many antique Limoges pieces available and finding them is part of the joy of collecting. Whether you have a complete set of lovely antique Limoges china dinnerware to use for special occasions or display several beautifully decorated handpainted dinner plates in a china cabinet, your beautiful Limoges pieces are sure to become treasured family heirlooms.